What do Nasty Gal customers want? Shoes, shoes, and more shoes, apparently. We've just received word that the L.A.-based e-tailer is expanding its newly launched in-house footwear line, Shoe Cult, following impressive sales this season. “It has become clear to us that our customer is a complete shoe addict,” VP of design Sarah Wilkinson told WWD. “Shoes make up a significant part of our sales.” To meet this demand, Nasty Gal will be offering even more styles and will be adding 40 to 60 pairs to the site each month. As far as the kinds of styles we should be expecting? "The things that have been selling the best are a little more directional. Color has been selling really well — jade green, cobalt, teal and red,” Wilkinson said. “All the patterns and animal prints have been amazing as well. It has shown us that we can take more risks." 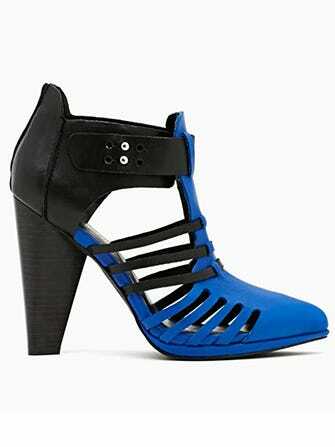 The e-tailer will also be producing higher-end iterations with heftier price tags than the current Shoe Cult selection. According to WWD, multiple footwear collaborations are in the works for the brand as well — but no specific details have been revealed yet.